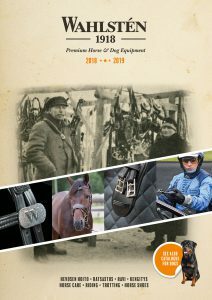 In Wahlstén’s wide range of products you will find equipment for different trotting and equestrian activities. Explore our product selection and product families through the links below. Explore Wahlstén’s products through our handy online catalogue! You can order products from your nearest retailer.